At St. Chad’s we have a team of trained people who would love to pray in confidence with you or for you after our 10.45am Sunday service. This is a time of ministry in which, in a relaxed and loving way, we can come before God, bringing to him those things on our hearts, or reaching out to him for his healing touch. All are invited to come for this ministry after the service. For more information please contact Joy Blackwood HERE. Our Pastoral Ministry Team are similarly trained and authorised by the church leadership to reach out to those in our church family and beyond in confidence, seeking God’s ministering touch. Folks from the team will visit and pray with anyone who is seeking God’s graceful healing and wisdom in the life issues they are facing. For more information please contact Christine Harding HERE. "Prayer For Revival" meetings are most Tuesdays from 7.30pm to 9pm -feel free to come and go as you please. 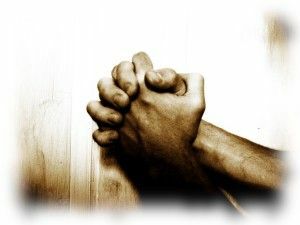 We meet in the full belief that prayer must underpin all that we are and all that we do as disciples of Christ. Meetings are WEEKLY, usually in the Prayer Room of our hall, but see the schedule below for our special monthly "Moving Forward In Prayer" meetings, which begin with a half-hour of refreshments from 7pm. For further details, or to request specific prayer, please contact Kay Milne (either in person or via the Church Office). At St. Chad’s we have various Men’s activities running – see "Just Men" for more details – but on the last Saturday of the month (not December !!) the Men from our church are invited to come for breakfast in the Royal Room and pray together. Any of the men are welcome to just come along – sorry ladies, but you can’t come. For further details please contact Roger Whipp HERE.